Why a PhD at MQAAAstro? The MQ Doctor of Philosophy (PhD) programme aims to train students to undertake research at the limits of our understanding of the Universe. During the course of their PhD, students will work with leading MQ astrophysicists to further our understanding of how galaxies formed and evolved over cosmic time, how our Galaxy was assembled, how planets and stars are formed out of interstellar gas and how stars die. At the conclusion of their studies, MQ PhD researchers will be world experts in their chosen area, and will have developed considerable skills in data analysis, theoretical modelling, and computer visualisation during their studies. The 3 year PhD and 4-5 year MRes/PhD programmes provide the skills required to become an independent researcher, with the ability to develop and undertake original research, and to communicate the relevance, significance and context of their work to others. The MQAAAstro focused PhD programme allows graduates to choose a diverse range of careers spanning from the classic academic pathway by moving to a post-doctoral appointment, to working in the broader Astronomy sector such as becoming a data scientist for the James Webb Space Telescope, to choosing a career in a related industry such as the Education industry (teacher, outreach officer) or the Information Technology Industry (IT person data scientist), to mention a few. Generous individual research support budget. Opportunity for observing trips to telescopes (e.g. Magellan in Chile and Keck in Hawaii). Living expenses and fees included in scholarship award. Fastest-growing astronomy research centre in Australia. Live in vibrant Sydney while working on the beautiful Macquarie University campus. A wide range of potential PhD topics are on offer. Students interested in particular projects or potential projects in related areas, are strongly encouraged to contact the relevant supervisor(s). PhD scholarships for domestic and international students include nearly $25,000/year for living expenses and all program fees for the duration of the project. Certain projects have an allocated scholarship, others can attract a domestic or international scholarship. Application instructions are available here (international students should refer also to this page), but first please contact the relevant supervisor listed next to the project. Macquarie University also runs cotutelle and joint PhD programs, which allows PhD students to be affiliated with Macquarie and another university overseas. More information is available here. High-quality students with strong undergraduate marks and Masters degree completed. Exceptional students with prizes and research publications have a good chance of winning a scholarship. Generally you need a 4 or 5 ranking on this system to win a PhD scholarship. Alternatively, you can apply through the new MRes program and transfer to the PhD program. Don’t have a Masters degree? Macquarie has a new Astrophysics Masters program. More information is available here. Think you might want to do a PhD at MQAAAstro? For more information on qualifications, deadlines and projects available, contact the project supervisors above, or email AAAstro admin. Funds are available to each student to help source small equipment or consumables, access to facilities, or specialist training, and to present your research results at premier national or international meetings. There are many opportunities for MQ Astro focused PhD students to be involved in outreach and communication including the famous yearly MQ Astronomy Open Night, an event that routinely attracts over 1000 people. Our students also help to run our two domed telescopes which, aside from research and teaching, are also open weekly for the public. Aside from running operations at the Observatory, our students are also in charge of our 45-seat inflatable planetarium that is taken to schools and events. We offer Masters by Research degrees focusing on Quantum Science and Technology related research topics through the Macquarie University MRES degree. This two year degree involves eight units of coursework training and then a full year research project. Students accepted to this degree receive an automatic scholarship which increments from Yr1 to Yr2. For more information on the MRES degree click here. Catherine Braiding (PhD 2011) University of New South Wales, Postdoctoral Fellow. There are a number of projects that PhD students are involved with at MQAAAstro. If you are interested to apply to do a PhD on a particular project please submit your Expression of Interest application by clicking HERE. distribution of the stellar components in the disk, remains to be revealed conclusively. In close collaboration with our colleagues at the University of Tokyo and the KISO-GP team, we will undertake a careful analysis of classical Cepheid variables in heavily obscured regions in the northern Galactic disk. Classical Cepheids are young pulsating stars (10–300 Myr) whose distances can be obtained based on the period–luminosity relation. They are good tracers of the Milky Way’s structure thanks to their brightness and the availability of accurate distances and ages. A newly developed approach will allow us to estimate distances as accurately as 10%, with which we can explore the stellar distribution in the northern Galactic disk. similar ages and the same metallicity. Only the individual stellar masses were thought to vary, in essence conforming to a "universal"
initial mass function. Over the past decade, this situation has changed dramatically. Star clusters in the nearest galaxies, particularly in the Large and Small Magellanic Clouds, show clear evidence of properties that don't align well with the simple stellar population idea: rapidly rotating stars, a range in chemical properties, the presence of rejuvenated stars, and even the telltale signs of cluster collisions and mergers. This is a research area that is currently attracting a lot of attention, so this is an exciting time to join a leading research team working on cutting-edge science in the local Universe. The structure and evolution of disks around evolved binary stars and its implications on binary evolution. The threads of this study involve the intertwined stories of stellar and binary evolution. Approximately ~60% of low mass stars evolve as binaries and binarity can alter the fate of the star. We have established the presence of a stable circumbinary disks around dying binary stars: post-Asymptotic Giant Branch (post-AGB) binary stars. However, their structure and evolution, and the role played by the circumbinary disk during the evolution of the star remains elusive. This timely project is aimed at investigating these second-generation protoplanetary disks around evolved binaries. Spatially resolving these disks is a critical step in studying the poorly understood interaction processes between disks and central binary systems. Using high-angular-resolution imaging with the state-of-the-art SPHERE or the Spectro-Polarimetric High-contrast Exoplanet REsearch instrument of the 8-meter Very Large Telescope (VLT) at the European Southern Observatory (ESO), Chile, we can now spatially resolve the disks around observationally feasible post-AGB binaries. 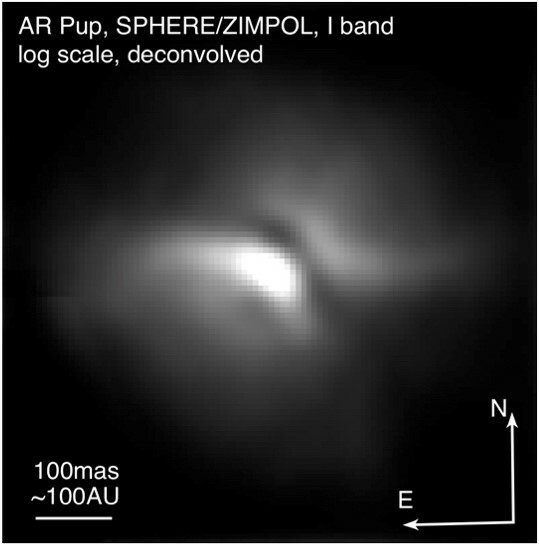 High-angular resolution imaging along with other techniques such as polarimetry, and spectroscopy will provide a gateway to determining the dust properties, disk architecture, and jet presence in these objects, allowing us to relate disk properties of post-AGB binaries to their known binary orbital parameters. The ultimate goal of this research is to understand disk evolution and quantify the impact of these disks on the binary evolution of the central objects. The collaboration includes members in Belgium (KU Leuven), Arizona (Steward Observatory, University of Arizona), and the European Southern Observatory (ESO). Collaborative visits will form part of the study experience. The project will contain both observational and theoretical aspects. How are the elements in the Universe synthesised? This is one of the defining questions of astrophysics. Low- and intermediate-mass (LIM) stars (0.8 to 8Msun) are key contributors to the chemical enrichment of their host galaxies. They are major producers of elements such as carbon, nitrogen, and about half of the elements heavier than iron. However, understanding how LIM stars produce their elements remains an unsolved problem. Post-Asymptotic Giant Branch (post-AGB) stars bear signatures of the entire nucleosynthesis that took place prior to and during the chemically-rich Asymptotic Giant Branch (AGB) phase of a LIM star’s life and are therefore ideal tracers of element production. This research is aimed at revealing element production in LIM stars. 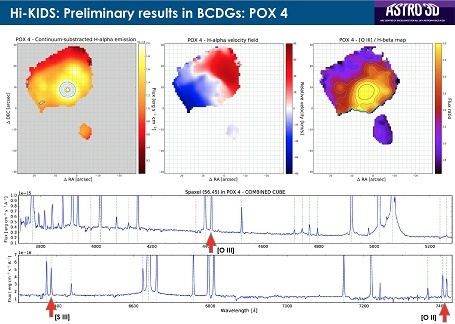 Using high-resolution optical and IR spectra of post-AGB stars obtained from facilities such as the 8-meter Very Large Telescopes (VLTs) at the European Southern Observatory (ESO), the Australian-led, million-star GALactic Archaeology with HERMES (GALAH) survey, and other international surveys such as the Sloan Digital Sky Survey-IV/APOGEE, a comprehensive and homogeneous chemical analysis study will result in accurately derived elements and isotopic ratios of carbon (and possibly oxygen), amongst others. The chemical evolution of galaxies, and indeed the Universe, is governed by the chemical yields from stars. This underlines the importance of understanding how stars produce their elements by obtaining accurate stellar nucleosynthetic yields. The collaboration includes members in Tenerife, Spain (IAC), Belgium (KU Leuven), Italy (INAF, Osservatorio Astronomico di Roma) and other Australian institutes such as the Australian National University and Monash University. Collaborative visits will form part of the study experience. The project will contain both observational and theoretical aspects. In the last few years powerful telescopes have come on line that can monitor big swaths of sky every night. This has created the first detailed movie of the night sky and astronomers have been surprised to see just how many flashes can be seen. Some of these flashes are due to stellar pairs interacting with one another. When this happens bright explosions and outbursts take place which we can now finally observe. Yet when we try to reconstruct what goes on during these interactions we find that it is not so easy. Without a viable theory of stellar interaction many mysteries go unsolved. Among them the understanding of several types of supernovae, gamma ray bursts and the emission of detectable gravitational waves. Like cirrus clouds obscuring the sky from the Earth’s surface, Galactic cirrus are vast clouds of interstellar gas and dust in our own Milky Way that absorb light from background galaxies. While these clouds can present a challenge to astronomers aiming to image the distant universe, they also present an opportunity to study the local interstellar medium in unprecedented detail. 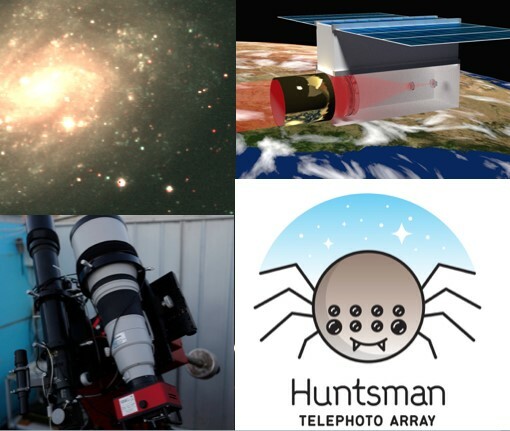 This project will use the new Macquarie University Huntsman Telescope (https://www.facebook.com/AstroHuntsman/ ) to image ultra-faint Galactic cirrus. You will develop image-processing techniques needed to disentangle this foreground structure from background galaxies and ultimately study the properties of turbulence in the interstellar medium. This is a cotutelle project co-supervised at the University Paris Saclay, and the successful student will be expected to spend at least 1 year of their PhD in Paris working with Prof Marc-Antoine Miville-Deschenes. Studying stellar ages and chemistry: when and where did stars form? Stellar dynamics - what are the orbits of the stars, and what can they tell us about dark matter, supermassive black holes, and galaxy assembly? The interactions between galaxies and the cluster environment - how are galaxies altered bu their proximity to other galaxies? The collaboration includes members in Chile (ESO) and Europe (including MPIA Heidelberg, IAC Tenerife, and INAF Rome), and visits to these institutes will form part of the study experience. Both theoretical and observational aspects will be explored. The field of Galactic Archaeology – the detailed study of stars in our Galaxy and its nearest neighbours in order to uncover clues to their formation and evolution – is entering a new era with the commissioning of the revolutionary new HERMES spectrograph. HERMES, being built for the Anglo-Australian Telescope, will obtain detailed elemental abundances and precision radial velocities for over a million stars in the Milky Way in the GALAH (GALactic Archaeology with HERMES) survey. 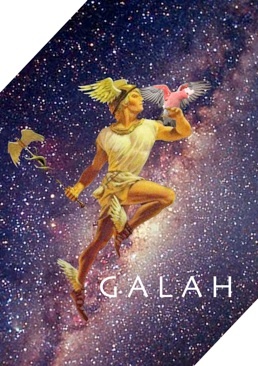 GALAH and other projects now underway or starting soon (e.g., the ESA space mission Gaia) will open new frontiers in our understanding of the formation and evolution of the Galaxy. In this research area, you will have the opportunity to work with Dr. Daniel Zucker and the HERMES Super Science Fellows at Macquarie University, as well as with other members of the GALAH team and collaborators at universities and institutes in Australia and around the world. The discovery of Earth's twin, a habitable world in another stellar system, is one of the most remarkable scientific endeavours of our time. 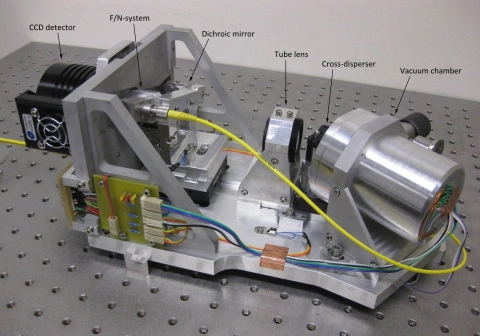 This project will set up a testbed instrument, which combines novel technologies from astrophotonics and adaptive optics into an innovative spectrograph design that will improve measurement precision in the near-infrared spectral range, working toward the detection of rocky planets around small and red stars. The PhD candidate in this project will work with Dr. Christian Schwab to develop the optical and mechanical design for an ultra-stable, single-mode spectrograph and integrate a prototype in the Macquarie University lab. The student will also test the spectrograph on-sky at the Macquarie University campus observatory and use it to demonstrate high-resolution infrared spectroscopy at a large adaptive optics facility. The student will learn to work with a leading optical raytracing software (Zemax) to model optical systems as well as CAD software to design the optical mechanics for the spectrograph. In the lab the student will work to acquire expertise in assembling and aligning optical and laser systems, learn to integrate vacuum equipment and and gain experience operating instruments at small and large telescopes. If time permits, we will couple our spectrograph with the SCExAO adaptive optics system at the Subaru telescope facility on Mauna Kea, Hawai'i. The RHEA spectrograph, built at Macquarie, is currently being tested at the Subaru Telescope. This instrument works in the visible part of the spectrum; the PhD candidate will work at a sightly larger infrared single mode spectrograph. Galaxies like our Milky Way form by accreting smaller systems, and this process of galaxy cannibalism continues to the present day: the dwarf satellites orbiting the Galaxy and M31, its nearest large neighbour, are survivors, while the victims are stretched across the sky in stellar streams. These satellites and streams, many of them revealed by wide-area astronomical surveys like SDSS (the Sloan Digital Sky Survey) and PAndAS (the Pan-Andromeda Archaeological Survey), probe the conditions of galaxy formation in the early Universe and the behaviour of Dark Matter on the smallest scales. In this research area you will have the opportunity to work with Dr. Daniel Zucker at Macquarie University, as well as with collaborators at other universities in Australia and overseas. Galaxy properties, such as morphology and rate of star-formation, correlate strongly with the environment in which a galaxy resides. The sense of this correlation is such that galaxies that live in very dense clusters of galaxies generally have elliptical morphologies without ongoing star-formation, whereas galaxies that live in lower density environments are more likely to be spirals with ongoing star-formation, much like our own Milky Way galaxy. An added complexity to this picture is that the densest regions in the Universe---rich galaxy clusters---are not static but are themselves evolving dynamically by hierarchical structure growth. That is, clusters accrete galaxies from low-density regions that are dominated by star-forming spiral galaxies, while the dense centres of clusters are dominated by E and S0 galaxies; this strongly indicates that galaxies accreted onto clusters must undergo significant, environment-driven transformation. Understanding how this environment-driven transformation takes place is one of the fundamental challenges in modern astrophysics. This field is currently undergoing a rapid transformation thanks to ongoing surveys such as the SAMI Galaxy Survey (http://sami-survey.org), and its successor, the Hector Survey (https://www.aao.gov.au/technology/new-instruments/hector). 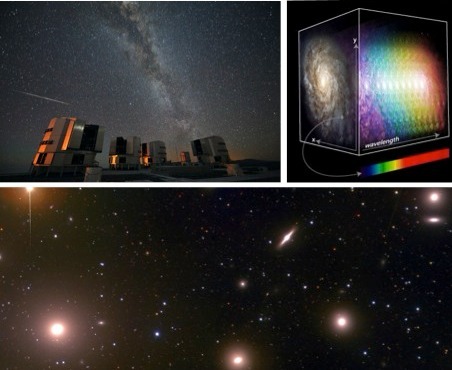 These surveys are providing spatially resolved spectroscopy for thousands of galaxies across a range of environments, allowing new and improved ways to attack the problem of environment-driven galaxy transformation. Various avenues for PhD projects supervised by Dr. Matt Owers are available within this field, using data collected during the SAMI Galaxy Survey, and preparing for the upcoming Hector Survey. Projects all involve the potential for collaboration with both Australian and international astronomers. The Huntsman Telephoto Array is a new astronomical imaging system that makes use of a large array of Canon telephoto camera lenses. Normally used for sports and wildlife photography, this lens array has distinct advantages over conventional telescopes for imaging faint and spatially-extended stellar structures in nearby galaxies. The PhD student on this project will have exclusive access to this new facility, which will be based at Siding Spring Observatory in Australia. By identifying new dwarf galaxies and stellar streams around nearby galaxies their historical record of formation can be recovered and we can determine how galaxies assembled their mass. This project will provide an exciting combination of hands-on astronomy instrumentation, image processing and astrophysical analysis. The data obtained with be combined with observational data at other wavelengths, including radio maps of neutral hydrogen gas from the WALLABY on Australia’s ASKAP telescope. The Huntsman system is a precursor for a Macquarie-led space-based cubesat facility, the Australian Space Eye. Studies of pulsars have already led to two Nobel prizes in physics, and there are more to come. It is likely that the first pulsar orbiting a black hole will be found along with the first extra-Galactic pulsars. Pulsars will soon be used to study the gravitational wave emission from supermassive binary black holes and may even be navigating spacecraft through the solar system. Pulsar projects are key science projects on major new international telescopes such as the Square Kilometre Array (SKA) and the Five-hundred-metre-spherical radio telescope (FAST) currently being commissioned in China. 1. Searching for bursts of gravitational wave emission. This project would involve developing statistical algorithms to search for the signatures of gravitational waves in our pulsar data sets. If successful the result would have enormous astrophysical implications. Even if no signal is found, the project will enable us to place the most constraining bounds to date on the existence of such gravitational waves. 2. Data mining the CSIRO data archive. Understanding how to process “Big Data” is a huge computational problem and has implications well outside of astronomy. The CSIRO data archive contains 100s of terabytes of data obtained from the Parkes telescope and we now have the opportunity to process all of these observations using up-to-date software algorithms. This project may lead to the discovery of new pulsars and an understanding of how pulsars change over decades. 3. Simultaneous pulsar and spectral line surveys. Many new telescopes, such as FAST in China, will undertake simultaneous surveys to find new pulsars and also to study spectral lines. This has not been done before and being able to develop the necessary calibration routines to carry out such surveys will be of great interest worldwide. As part of this project we will be able to be involved in some of the first observations with the World’s largest radio telescopes that are currently being built. All these projects would suit a student interested in astronomy, high-performance computers and data analysis. CSIRO Astronomy and Space Science (CASS) is Australia’s premier radio astronomy facility and key partner in the world’s largest radio telescope, the Square Kilometre Array (SKA). Research staff at CASS study work on such diverse topics as star formation, galaxy structure and evolution, active galactic nucei, pulsars, gravitational wave detection and interstellar medium, as well as advanced topics in radio astronomical instrumentation. Strong collaborative links exist between Macquarie and CASS, and there are opportunities for PhD projects that can be jointly supervised by CASS staff and astronomers at MQAAAstro. CASS staff interests can be browsed here. See here for information on how to arrange a project and enter the CASS co-supervised student programme. The Australian Astronomical Optics (AAO) department at Macquarie, the newest in the Faculty of Science and Engineering, hosts research staff in areas of optics, infrared astronomy and instrumentation. Strong collaborative links exist between MQAAAstro and AAO. PhD projects are available and are listed below. The Taipan galaxy survey is a next-generation spectroscopic survey program to measure up to 2 million galaxies over the Southern Hemisphere in the coming five years. 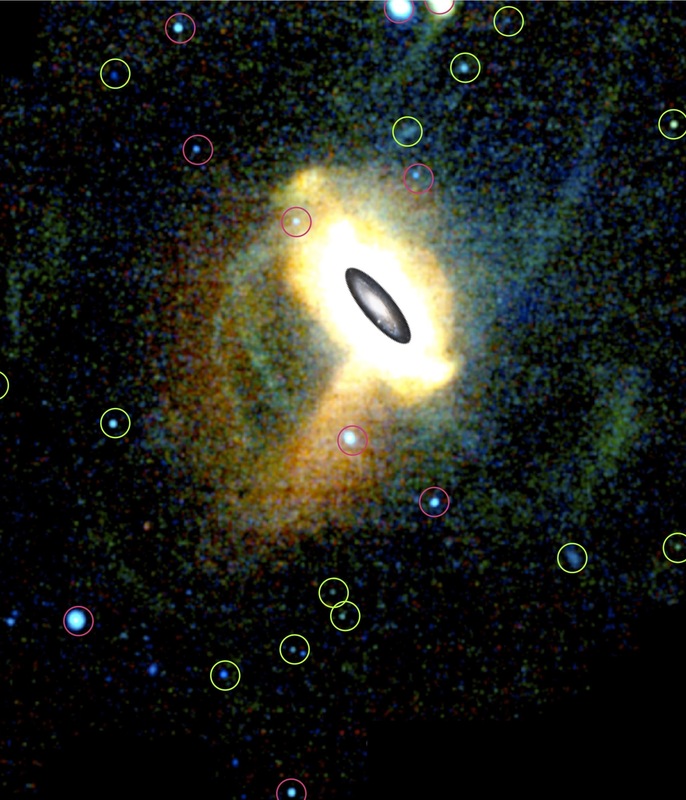 There are a broad range of galaxy evolution studies planned with Taipan data, including understanding the role played by galaxy groups and clusters in regulating galaxy star formation and growth, the interplay between star formation and nuclear supermassive black hole activity, and the sequence of stages that see galaxies age from blue, active disk-like systems to red, passive spheroids. 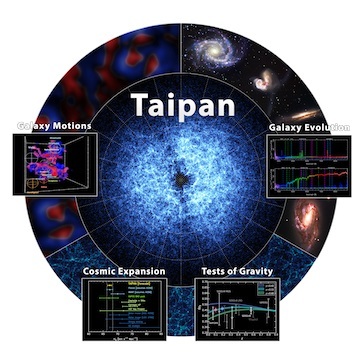 This project will involve analysis of the Taipan optical spectra during the early stages of survey operations to assess the quality of the existing automated pipeline and derived data products, linking the multiwavelength photometric information with the spectroscopic measurements, and combining them to deliver the first galaxy evolution results with early Taipan measurements. These early results will include construction of galaxy luminosity and mass functions to demonstrate the survey sample properties, and include a preliminary investigation of the link between star formation rates and supermassive black hole activity. The Taipan galaxy survey is a next-generation spectroscopic survey program to measure up to 2 million galaxies over the Southern Hemisphere in the coming five years. 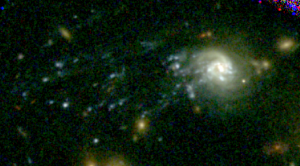 There are a broad range of galaxy evolution studies planned with Taipan data, including understanding the role played by galaxy groups and clusters in regulating galaxy star formation and growth, the interplay between star formation and nuclear supermassive black hole activity, and the sequence of stages that see galaxies age from blue, active disk-like systems to red, passive spheroids. It will also enable measurement of the mass distribution of newly formed stars within those galaxies. This project will begin with development of spectral population synthesis (SPS) tools, that make predictions for galaxy spectra depending on their star formation history and the properties of the stars formed. Existing such SPS tools will be compared and expanded on. The analysis will involve comparison to the Taipan optical spectra during the early stages of survey operations, and lead to the first measurement of the stellar initial mass function with Taipan galaxy data. Open clusters are the ideal tools for probing our Galaxy's chemical and dynamical evolution. They are mono-age and mono-abundance population that can be used to trace the star formation history of the Galaxy. However to-date only a handful of open clusters, limited to the solar neighborhood have been studied via high resolution spectroscopy. This project will source original data from the new high-resolution high multiplex HERMES instrument on the Anglo-Australian telescope to determine the chemical content, motions and ages of previously unstudied open clusters probing further out into the Galactic disk. The results will give insights into Galactic trends and help to piece the puzzle of how our Galaxy formed and evolved. The research will involve collaborations with other experts locally and internationally. This project offers the opportunity to visit the 4m Anglo-Australian Telescope in Coonabarabran, NSW. Globular clusters are the oldest and most populous stellar aggregates in existence. 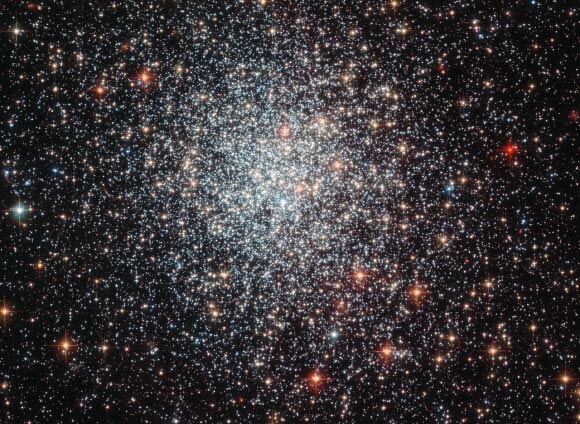 Recent studies have shown that the stars in globular clusters show abundance patterns that are unique to the clusters. We do not know why they are not seen in the Galaxy, but only within the globular clusters. 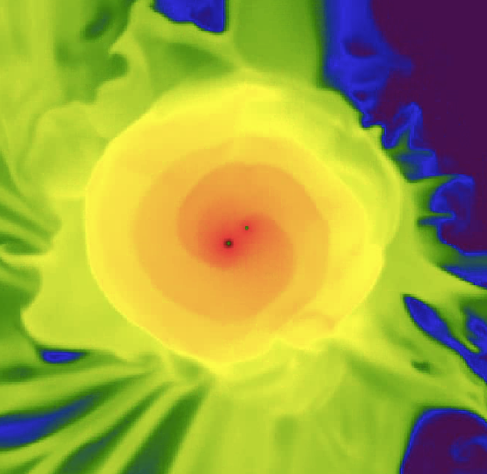 They may even be the remnants of collisions between dwarf Galaxies and our Milky Way. A fuller understanding requires us to determine the abundances of many stars in many clusters and to compare with theoretical models so we can see what stars produced the existing patterns. We will source original data form the world's largest telescopes and then analyse this to determine the abundances of key species in globular cluster stars: perhaps Li, C, N, O, Mg, Al, Fe as well as the heavy elements made by neutron capture, such as Sr, Y, Zr, Ba, La. Stellar models that can produce these species will be compared with the abundances we measure. This project offers the opportunity to visit the 4m Anglo-Australian Telescope in Coonabarabran, NSW and/or the 8m Very Large Telescope at Paranal Observatory in Chile. 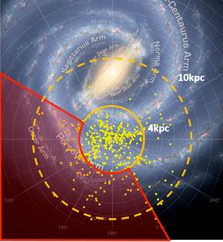 Large galaxy surveys such as CALIFA (Sanchez et al. 2012, 2014, 2016), MaNGA (Bundy et al. 2015) and the SAMI Galaxy Survey (Croom et al. 2012, Bryant et al. 2015) use Integral Field Spectroscopy (IFS) to provide a detailed view of how galaxies formed and evolved. These surveys mainly target the “normal” galaxy population, but dwarf galaxies tend to be under-represented. In addition, many of the systems observed are too far away to be well resolved and the (scarce) neutral hydrogen data available come from single-dish radio observations, lacking any spatial information. Interferometric observations of the 21-cm HI emission (that trace the distribution and kinematics of the neutral gas within and around the galaxies) are essential in order to obtain a coherent and comprehensive picture (e.g. Lopez-Sanchez et al. 2012a, 2015, Gavilan et al. 2013, Ascasibar et al. 2015), providing powerful constrains on the physical processes that regulate the star formation rate and the build-up of stellar mass over cosmic time. We are currently obtaining high-quality 2D optical galaxy spectra of nearby dwarf galaxies with available 21-cm HI interferometric radio data using the KOALA Integral Field Unit in conjunction with the AAOmega spectrograph at the 3.9m Anglo-Australian Telescope. Our sample of "HI - KOALA IFS Dwarf galaxy Survey" (Hi-KIDS), represent the subset of low-luminosity, metal-poor galaxies undergoing strong and short-lived episode of star formation, in many cases triggered by interactions (e.g .Bravo-Alfaro et al. 2004, Lopez-Sanchez 2010, Lopez-Sanchez et al. 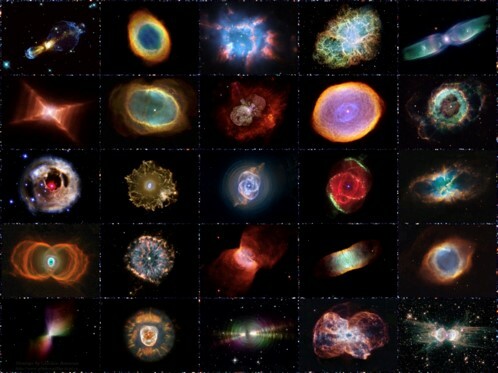 2012a) and are perfect targets to trace gas accretion, massive stellar feedback and their influence on other properties (e.g., chemical composition, kinematics). This project will analyse the KOALA and radio data to improve our understanding of the link between the neutral hydrogen gas and the fueling of star formation in dwarf galaxies. Cosmic dust plays a crucial role in the formation of stellar populations. The extinction curve is a standard tool to study dust absorption and scattering at optical/ultra-violet wavelengths. Extinction curves reveal information about dust grain sizes, their compositions and properties. Typically at higher redshifts, the extinction curves from the Local Group (i.e., Milky Way, Large and Small Magellanic Clouds) are used as a reference to derive extinction in those environments. Quasars and gamma-ray bursts are the brightest sources in the universe and can be seen up to the epoch of reionisation. There are plenty of data available (both spectroscopic and photometric) from various telescopes for these high-redshift objects from the ultra-violet to the near-infrared to generate their spectral energy distributions and hence derive individual extinction curves rather than using reference Local Group extinction laws. The analysis so far used smaller samples of quasars and gamma-ray bursts indicate featureless and steeper extinction curves at higher redshifts (Zafar et al. 2015, 2018). This suggests different dust grain populations and/or effects of radiation fields in the vicinity. This project with a larger sample will help in understanding the transition of extinction curves at higher redshifts and inferring various dust populations. This project includes the collaboration of University of Copenhagen (Denmark) and Leicester University (UK). The project has observational aspects and the student will be involved with observing and using European Southern Observatory, Very Large Telescope data. Quasars are very luminous and distant sources. Their spectra reveal absorption lines of the intergalactic medium between the quasars and us. Broad and strong absorption lines are seen when quasar line of sight passes through a dense gaseous cloud or galaxy. Although there is enough information available for these dense absorbers about their gas, metals, and dust from absorption studies, very little is known about their hosting galaxies. It is important to target these line of sight absorbers in emission to measure the galaxy properties, such as which galaxies they come from, are they galaxies similar to other galaxies at the same distance, and how their luminosity and number density behave at greater distances. As these absorbers come from random sightlines (where their exact location on the sky is not known) and being faint and farther away, they are hard to find. Searches over the past two decades have only detected ~0.3% of absorbing galaxies in emission. With high spatial resolution instruments we are now able to detect these faint galaxies. The aim will be to use the existing European Southern Observatory, Very Large Telescope instruments to hunt well-defined cases. Involvement with up-coming instruments like MAVIS is also a key opportunity to get involved with instrument science and subsequently use this new instrument to further the goals described above. The project includes collaboration with the University of Copenhagen (Denmark) and Laboratoire d’Astrophysique de Marseille (France) and collaborative visits will be conducted to acquire more experience.